As we prepare for WERKPraySlay weekend 2015, we are sharing the success stories from various women to watch. The ladies we selected are fearless female entrepreneurs who are passionately pursuing their purpose, sharing a special message with the world and dominating their dreams. If you’ve been looking for a few success secrets for start ups, business tips for aspiring boss babes or a word of encouragement, you’re sure to get it from our interview with Christal Jordan! 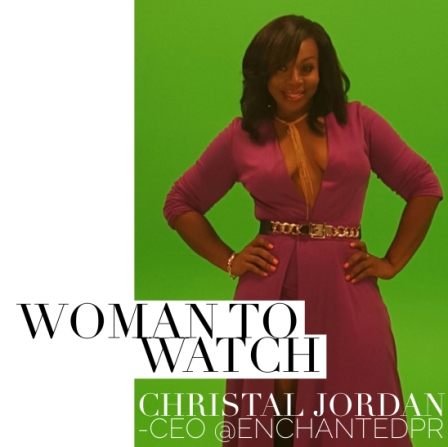 Christal is the CEO of EnchantedPR a Public Relations firm that services several celebrity clients! Koe: Describe yourself in ONE word. 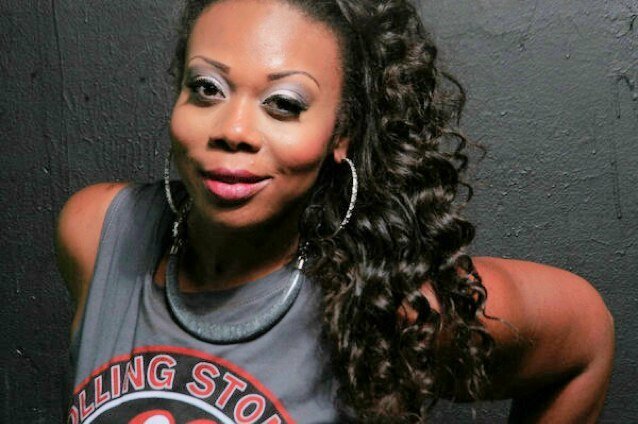 Koe: What makes you a werking woman? Christal: I am a “werking” woman because no matter how hard I get hit, I refuse to stay down. I have a fighter’s spirit that refuses to give up or to accept less than excellence from myself or those around me.Koe: Share one life (not business) lesson for aspiring werking women. (This can be related to personal development lesson, health/wellness tip, productivity, finance, etc. simple theory, but it isn’t. I used to think that as long as I was nice to others, they would be nice to me. I learned the hard way that life isn’t like that. Sometimes people have negative things to say about you no matter how hard you work to accommodate everyone. The key to that is not taking in the negativity. People usually speak out of their own issues. Its easier said than done, but I have gotten to the point that will opt not to hear something someone said negatively about me. I am working on not letting it affect me when I do hear it, and not making an enemy of out of the person. Cheryl Underwood shared a story that really inspired me. To be able to work with people that have tried to slander you and not show them that negativity back is the sign of a blessed and mature woman. I am working on getting there! Koe: How important is spirituality in relation to success? Christal: Spirituality is very important to me. I know that I would not be here if it wasn’t for my faith in God and my mother’s prayers. My mother was a very spiritual person and she taught me early on that no matter what you are going through or who you are going through it with, the most important thing in your life should be your relationship with God. I have gone through so many ups and downs but that is something that will never fail me. Koe: How do you celebrate your success? Christal: This is a hard question for me because I feel I am still working on achieving the success that I desire. I have been blessed to do some amazing things and work with some amazing people and I attribute that to my faith in God, my love and passion for PR and my ability to see people as people. A lot of people get hung up on trying to get to the top people and treating everyone they feel is beneath them badly. I don’t see people according to what they have but rather according to how they treat me. Relationships are key and if you treat people well no matter of where they are when you meet them, if and when their position changes you will still have the relationship. Koe: WERK.Pray.Slay is defined as: dedicating your life to your dreams(werk), grounding yourself in faith (pray) and showing out in celebration of your success (slay). Which element do you relate to most in your career? WERK.PRAY or SLAY? Why? being at my home with my children. I think I would be a combination of Werk and Pray because I have been blessed to spend the last decade of my life doing what I absolutely love, and I also have no choice but to acknowledge prayer and my relationship with God has been my secret weapon! Connect with Christal on social media @EnchantedPR and cheer her on as she continues to take over the world! Then, join us Saturday October 31st at the BYOB Conference to find out how you can be your own boss!